Great tightness,no wobbling or cross-threading. Ultra-low chemical residues, attached to a solid! Special aviation aluminum alloy, high strength, impact resistance, twist and pressure. - New 58mm to 77mm Step-Up Ring Adapter - The 58-77mm ring adapter easily screws onto the front of any 58mm lens, and converts the thread size of your lens to the thread size of any other 77mm accessory (such as filters, hoods, flashes and lens converters). - Made of high quality anodized black aluminum (metal). Color: Black. - Extremely solid and lightweight. Specifically designed for your camera for a tight and secure fit. No wobbling or cross-threading. - Your camera's lens thread size will be marked somewhere on the lens barrel. This number is always preceded by a " " (diameter) symbol. For example: 58 = 58mm lens thread size. This number can also often be found printed on the back side of your lens cap. - The first number is always the lens thread size, the second number is the filter size of the accessory. If the first number is bigger, it's a step-down ring. If the first number is smaller, it's a step-up. - Accessory only. Camera and filter UV not included. - Premium MagicFiber Microfiber Cleaning Cloth - Ultra gentle! Extremely fine microfiber leaves zero scratches, streaks or marks. Safe for all lenses. - Ideal for cleaning oil and dirt off eyeglasses, iPhone/iPad and other touch screens, binocular lenses, digital SLR and other camera lenses, GPS devices, and other delicate optics. - Clean without the need of soaps or detergents. Wipe down kids' toys, cribs, stainless steel counters and other areas you want to keep chemical free. - Great value for your money. Reusable and long lasting. No more paper towel and tissue waste. - Size: 6 x 7 inches (15cm x 18cm) - Each microfiber is individually and neatly packed in it's own polyurethane plastic bag for long term safekeeping. Includes: Altura Photo 58mm to 77mm step up adapter ring and MagicFiber microfiber cleaning cloth. The ring adapter easily screws onto the front of any 58mm lens, and converts the thread size of your lens to the thread size of any other 77mm accessory (such as filters, hoods, flashes and lens converters). NOTE: Compatible with all 58mm camera lenses and 77mm filters or accessories. Your lens thread size will be printed underneath your lens cap or written somewhere on the lens barrel. Make sure you order the correct size otherwise it will not fit your lens. - The 67-77mm ring adapter easily screws onto the front of any 67mm lens, and converts the thread size of your lens to the thread size of any other 77mm accessory (such as filters, hoods, flashes and lens converters). - Made of high quality anodized black aluminum (metal). Color: Black. - Your camera's lens thread size will be marked somewhere on the lens barrel. This number is always preceded by a " " (diameter) symbol. For example: 67 = 67mm lens thread size. This number can also often be found printed on the back side of your lens cap. - The first number is always the lens thread size, the second number is the filter size of the accessory. If the first number is bigger, it's a step-down ring. If the first number is smaller, it's a step-up. - A must have accessory to unlock the full potential of your camera! Includes: Altura Photo 67mm to 77mm step up adapter ring and MagicFiber microfiber cleaning cloth. The ring adapter easily screws onto the front of any 67mm lens, and converts the thread size of your lens to the thread size of any other 77mm accessory (such as filters, hoods, flashes and lens converters). NOTE: Compatible with all 67mm camera lenses and 77mm filters or accessories. Your lens thread size will be printed underneath your lens cap or written somewhere on the lens barrel. Make sure you order the correct size otherwise it will not fit your lens. To make the most durable step-up ring we simply took the craftsmanship, build quality and durability of our professional filters adapted it to the step-up ring. 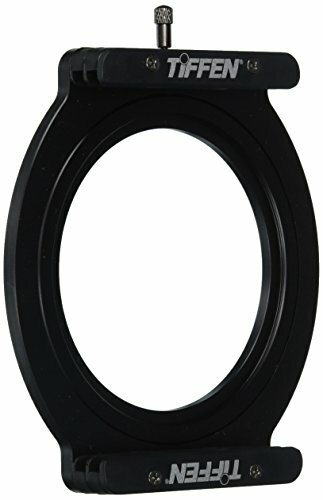 We manufacture this step-up ring with brass and then apply a matte black electroplated finish, which withstands corrosion and other abrasive elements often encountered in outdoor photography. Click on Buy now button for complete your purchase! CNC MACHINED BRASS ADAPTER RING: We manufacture this step-up ring with brass and then apply a matte black electroplated finish, which withstands corrosion and other abrasive elements often encountered in outdoor photography. FITMENT: Compatible with all 77mm camera lenses & 82mm accessories. Your lens thread size will be printed underneath your lens cap or written somewhere on the lens barrel. Make sure you order the correct size otherwise it will not fit your lens. THE MOST DURABLE STEP UP RING: The result of better construction and materials, combined with a proven design makes this step-up ring the most durable and functional step-up ring available to professional outdoor photographers. Also, free lens cloth is included! EXACTLY WHAT YOU ARE LOOKING FOR: The reach and application of this very filter adapter ring is that it involves appropriate traction and gives optimized performance. 25 YEARS SUPPORT: Our step up adapter ring is made up of high quality material brass, which will surely sustain for more than 25 years. - The 49-58mm ring adapter easily screws onto the front of any 49mm lens, and converts the thread size of your lens to the thread size of any other 58mm accessory (such as filters, hoods, flashes and lens converters). - Your camera's lens thread size will be marked somewhere on the lens barrel. This number is always preceded by a " " (diameter) symbol. For example: 49 = 49mm lens thread size. This number can also often be found printed on the back side of your lens cap. - The first number is always the lens thread size, the second number is the filter size of the accessory. If the first number is bigger, it?s a step-down ring. If the first number is smaller, it?s a step-up. Includes: Altura Photo 49mm to 58mm step up adapter ring and MagicFiber microfiber cleaning cloth. The ring adapter easily screws onto the front of any 49mm lens, and converts the thread size of your lens to the thread size of any other 58mm accessory (such as filters, hoods, flashes and lens converters). NOTE: Compatible with all 49mm camera lenses and 58mm filters or accessories. Your lens thread size will be printed underneath your lens cap or written somewhere on the lens barrel. Make sure you order the correct size otherwise it will not fit your lens. - The 72-77mm ring adapter easily screws onto the front of any 72mm lens, and converts the thread size of your lens the thread size of any other 77mm accessory (such as filters, hoods, flashes and lens converters). - Your camera's lens thread size will be marked somewhere on the lens barrel. This number is always preceded by a " " (diameter) symbol. For example: 72 = 72mm lens thread size. This number can also often be found printed on the back side of your lens cap. Includes: Altura Photo 72mm to 77mm step up adapter ring and MagicFiber microfiber cleaning cloth. The ring adapter easily screws onto the front of any 72mm lens, and converts the thread size of your lens to the thread size of any other 77mm accessory (such as filters, hoods, flashes and lens converters). NOTE: Compatible with all 72mm camera lenses and 77mm filters or accessories. Your lens thread size will be printed underneath your lens cap or written somewhere on the lens barrel. Make sure you order the correct size otherwise it will not fit your lens. 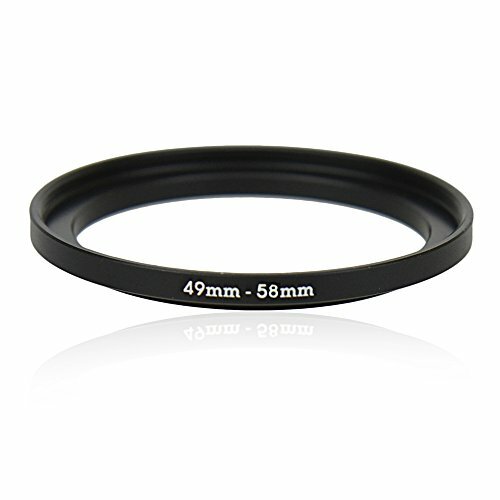 - The 55-58mm ring adapter easily screws onto the front of any 55mm lens, and converts the thread size of your lens to the thread size of any other 58mm accessory (such as filters, hoods, flashes and lens converters). - Your camera's lens thread size will be marked somewhere on the lens barrel. This number is always preceded by a " " (diameter) symbol. For example: 55 = 55mm lens thread size. This number can also often be found printed on the back side of your lens cap. Includes: Altura Photo 55mm to 58mm step up adapter ring and MagicFiber microfiber cleaning cloth. The ring adapter easily screws onto the front of any 55mm lens, and converts the thread size of your lens to the thread size of any other 58mm accessory (such as filters, hoods, flashes and lens converters). NOTE: Compatible with all 55mm camera lenses and 58mm filters or accessories. Your lens thread size will be printed underneath your lens cap or written somewhere on the lens barrel. Make sure you order the correct size otherwise it will not fit your lens. - The 77-82mm ring adapter easily screws onto the front of any 77mm lens, and converts the thread size of your lens to the thread size of any other 82mm accessory (such as filters, hoods, flashes and lens converters). - Your camera's lens thread size will be marked somewhere on the lens barrel. This number is always preceded by a " " (diameter) symbol. For example: 77 = 77mm lens thread size. This number can also often be found printed on the back side of your lens cap. - The 49-52mm ring adapter easily screws onto the front of any 49mm lens, and converts the thread size of your lens to the thread size of any other 52mm accessory (such as filters, hoods, flashes and lens converters). 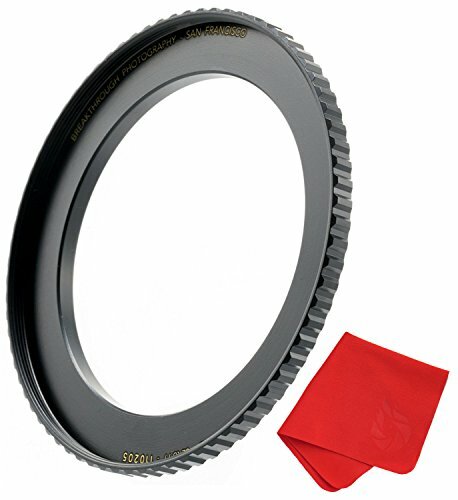 Includes: Altura Photo 49mm to 52mm step up adapter ring and MagicFiber microfiber cleaning cloth. The ring adapter easily screws onto the front of any 49mm lens, and converts the thread size of your lens to the thread size of any other 52mm accessory (such as filters, hoods, flashes and lens converters). NOTE: Compatible with all 49mm camera lenses and 52mm filters or accessories. Your lens thread size will be printed underneath your lens cap or written somewhere on the lens barrel. Make sure you order the correct size otherwise it will not fit your lens. Tiffin Pro100 series camera filter system is a sleek and innovative design, our filter holder enables you to use up to two Tiffin award winning 4mm thick glass motion picture/television filters at once, giving you the opportunity to create images like never before. The holder will hold up to two 4mm thick motion picture quality Tiffin filters. The Pro100 camera system adapts to use 4 4 and 4 5.650 filters. FITMENT: Compatible with all 67mm camera lenses & 77mm accessories. Your lens thread size will be printed underneath your lens cap or written somewhere on the lens barrel. Make sure you order the correct size otherwise it will not fit your lens. FITMENT: Compatible with all 67mm camera lenses & 82mm accessories. Your lens thread size will be printed underneath your lens cap or written somewhere on the lens barrel. Make sure you order the correct size otherwise it will not fit your lens. 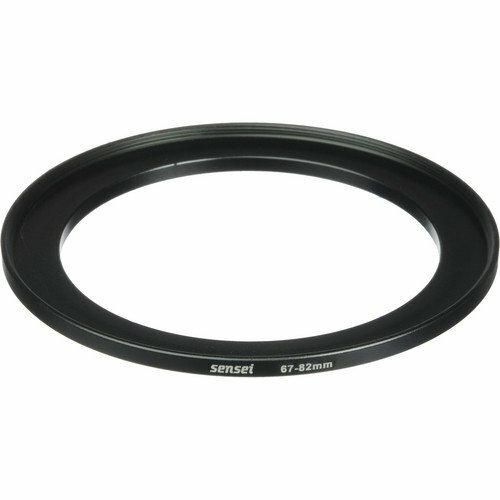 - New 52mm to 58mm Step-Up Ring Adapter - The 52-58mm ring adapter easily screws onto the front of any 52mm lens, and converts the thread size of your lens to the thread size of any other 58mm accessory (such as filters, hoods, flashes and lens converters). - Made of high quality anodized black aluminum (metal). Color: Black. - Extremely solid and lightweight. Specifically designed for your camera for a tight and secure fit. No wobbling or cross-threading. - Your camera's lens thread size will be marked somewhere on the lens barrel. This number is always preceded by a " " (diameter) symbol. For example: 52 = 52mm lens thread size. This number can also often be found printed on the back side of your lens cap. - The first number is always the lens thread size, the second number is the filter size of the accessory. If the first number is bigger, it?s a step-down ring. If the first number is smaller, it?s a step-up. - A must have accessory to unlock the full potential of your camera! Includes: Altura Photo 52mm to 58mm step up adapter ring and MagicFiber microfiber cleaning cloth. The ring adapter easily screws onto the front of any 52mm lens, and converts the thread size of your lens to the thread size of any other 58mm accessory (such as filters, hoods, flashes and lens converters). NOTE: Compatible with all 52mm camera lenses and 58mm filters or accessories. Your lens thread size will be printed underneath your lens cap or written somewhere on the lens barrel. Make sure you order the correct size otherwise it will not fit your lens. FITMENT: Compatible with all 67mm camera lenses & 72mm accessories. Your lens thread size will be printed underneath your lens cap or written somewhere on the lens barrel. Make sure you order the correct size otherwise it will not fit your lens. New 49mm to 58mm Step-Up Ring Adapter The 49-58mm ring adapter easily screws onto the front of any 49mm lens, and converts the thread size of your lens to the thread size of any other 58mm accessory (such as UV CPL ND filters, hoods, flashes and lens converters). Extremely solid and lightweight. Specifically designed for your camera for a tight and secure fit. No wobbling or cross-threading. Your camera's lens thread size will be marked somewhere on the lens barrel. This number is always preceded by a "?" (diameter) symbol. For example: ?58 = 58mm lens thread size. This number can also often be found printed on the back side of your lens cap. The first number is always the lens thread size, the second number is the filter size of the accessory. If the first number is bigger, it's a step-down ring. If the first number is smaller, it's a step-up. A must have accessory to unlock the full potential of your camera! Accessory only. Camera and filter UV not included. Brand: Kiwifotos | Manufacturer: Jinjiacheng Photography Equipment Co.,Ltd. The Sensei 67-82mm Step-Up Ring is a step-up ring permitting the use of 82mm threaded filters on a 67mm threaded lens. 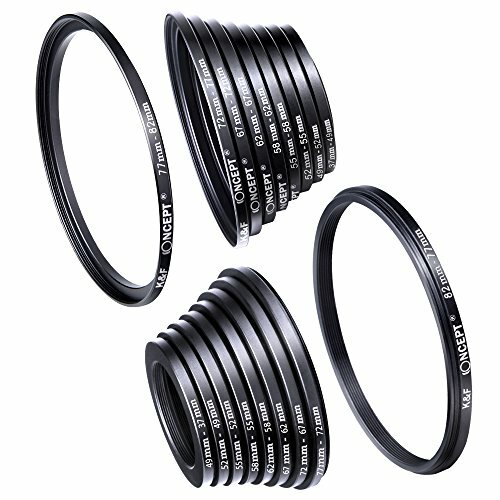 This black anodized metal ring provides a durable solution for using one size of filters with various sized lenses. The Sensei 77-95mm Step-Up Ring is a step-up ring permitting the use of 95mm threaded filters on a 77mm threaded lens. 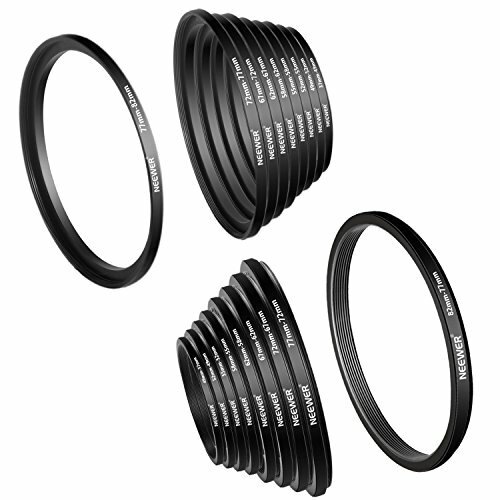 This black anodized metal ring provides a durable solution for using one size of filters with various sized lenses. FITMENT: Compatible with all 72mm camera lenses & 77mm accessories. Your lens thread size will be printed underneath your lens cap or written somewhere on the lens barrel. Make sure you order the correct size otherwise it will not fit your lens. FITMENT: Compatible with all 72mm camera lenses & 82mm accessories. Your lens thread size will be printed underneath your lens cap or written somewhere on the lens barrel. Make sure you order the correct size otherwise it will not fit your lens.